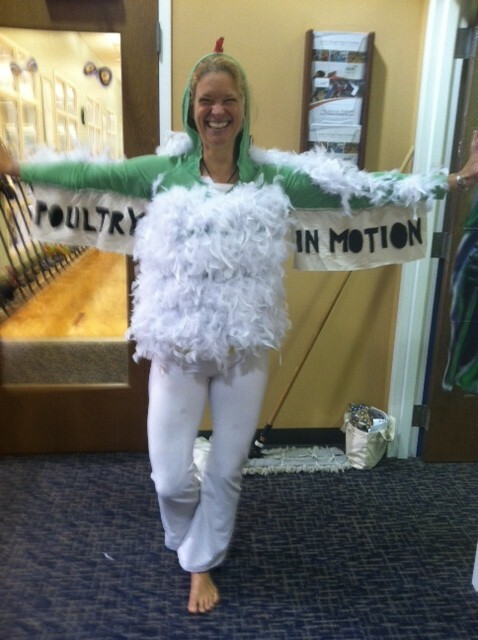 So much fun playing with The Five Sensations of Fitness in the core and my “Poultry in Motion” costume on Halloween! So of course, the song of the week is Thomas Dolby’s She Blinded Me with Science! Click here for the original video, and click here for a fascinating live version at The Berkeley School of Music in Boston — so cool to see him work his musical science! If you’d like to know more about any of the playlists this week, just say the word! It’s tempting to ask for your playlists but I like being surprised better! I do have to say that I can’t get that song “Ooh Child” (by the Five Stairsteps) out of my head lately. I think it would be a good one for Nia! 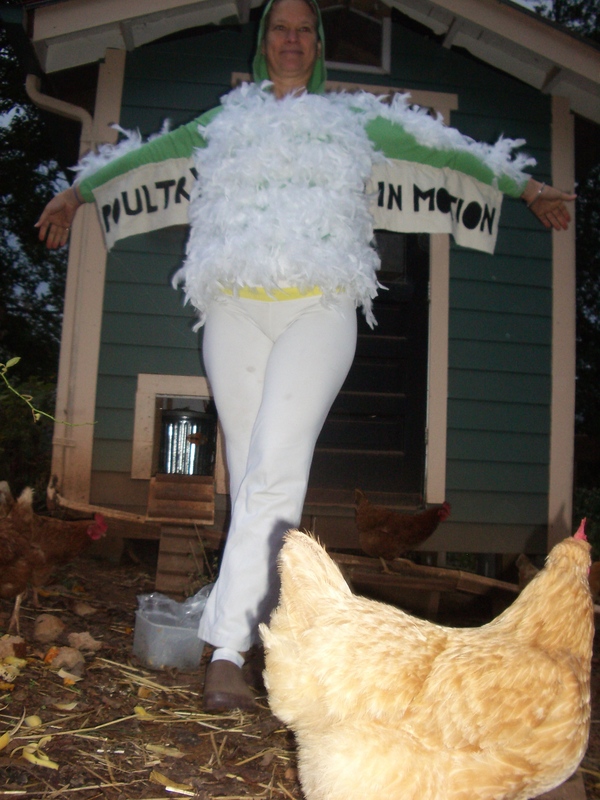 Your costume was fabulous, even if by the end of class you appear to have been caught by the fox in the henhouse! I’m sure he’d say the same of you, my love! Dance on!